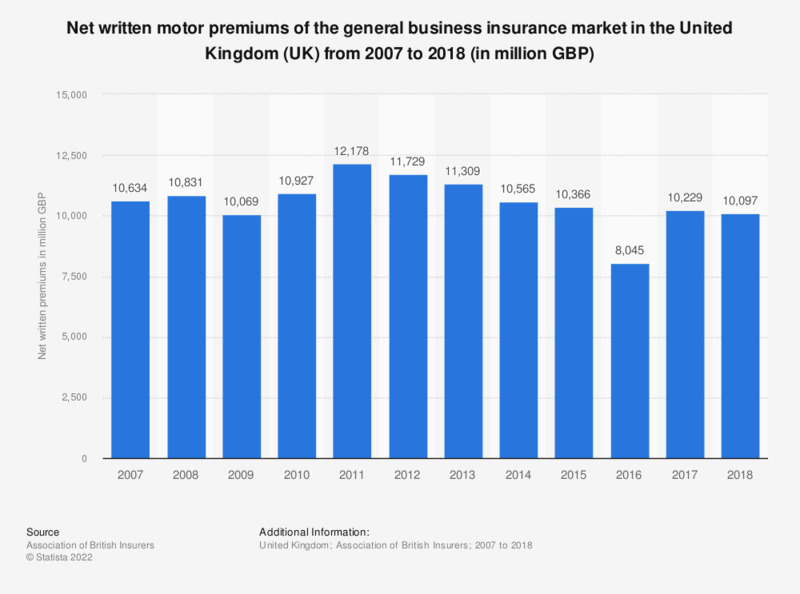 This statistic shows the net written premiums for motor insurance of the general business insurance market in the United Kingdom (UK) from 2007 to 2017. In 2017, the net written premiums for motor insurances amounted to just over 10.2 billion British pounds (GBP), an increase of nearly 2.2 billion British pounds from the previous year. Everything On "Motor insurance in the UK" in One Document: Edited and Divided into Handy Chapters. Including Detailed References.